Stunning views around every corner and designs with Australian beautifully incorporated throughout tell the story of Park Hyatt Sydney. Seated directly on Sydney Harbour, with the water glittering just outside guest room balconies, the Park Hyatt’s location comes second to none. 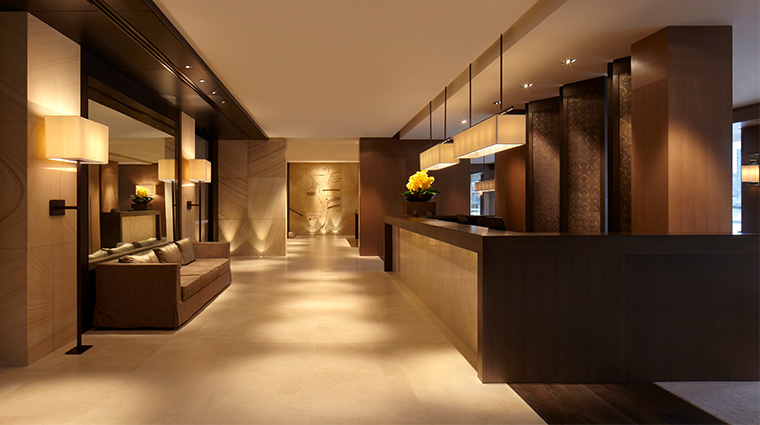 Inside the hotel, a VIP experience awaits, ensuring you feel completely at home. 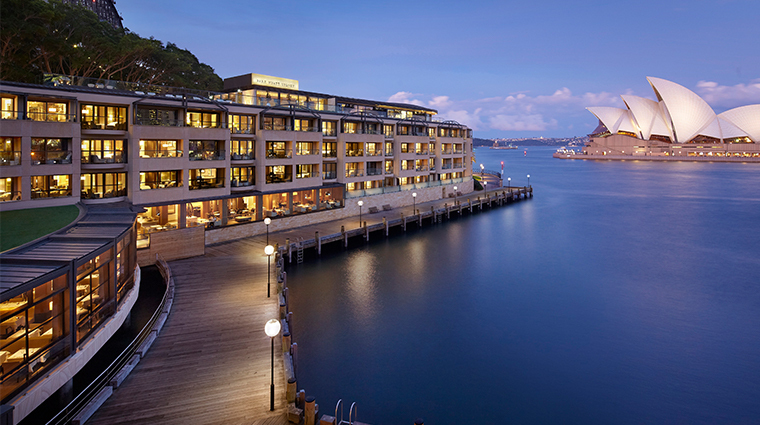 Once upon a time, the building was a mere water police station, but now it houses 155 rooms of pure luxury, each boasting an intimate, iconic view of Sydney. At Park Hyatt Sydney, they’re all about telling a story — an Australian story — and this is seen from the prominent native art featured to the local spirits discovered at The Bar. With every area of the hotel named after the rooms in a home — think The Dining Room, The Living Room, The Study — consider your Park Hyatt stay as a visit to a dear friend’s exquisite abode along the harbor. 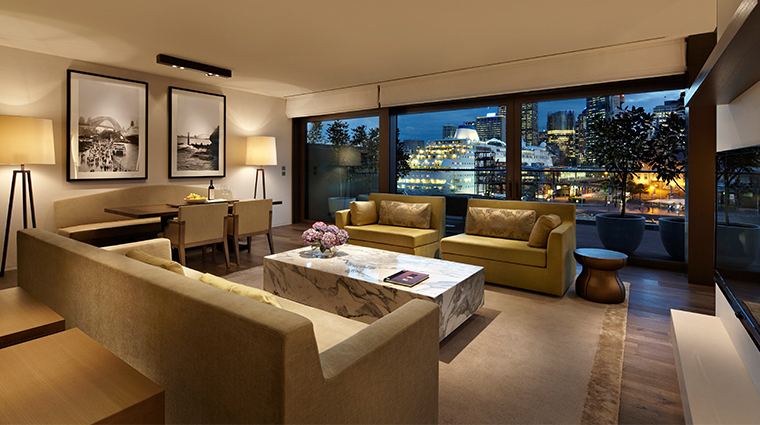 • Every guest room features floor-to-ceiling windows and at least one balcony, all overlooking glittering views of Sydney. • Experience instant serenity at The Spa with calming aromas, sumptuous products by Kerstin Florian and iKOU, and holistic treatments connected to flowers and the elements. • Small but powerful, the hotel’s 24-hour gym comes fully equipped with views of the Harbour Bridge, the water and Luna Park to boost your workout. 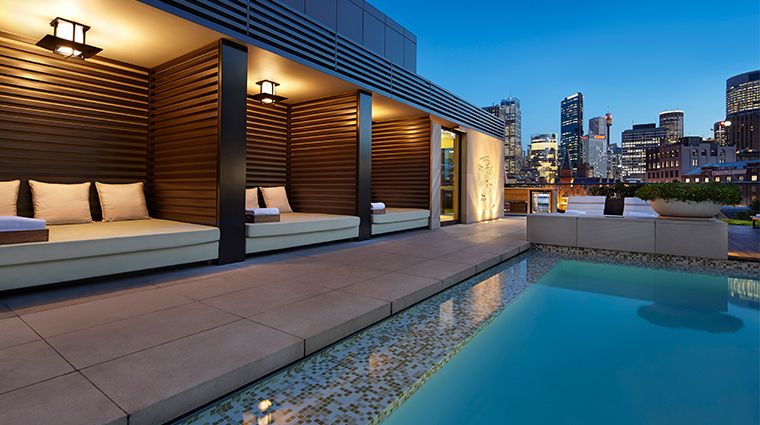 • Relax into an intimate, serviced cabana for a day by the rooftop pool with unrivaled Sydney surrounds. • Hit The Bar to taste an exclusive menu of Australian spirits, many of which use lemons, melons and other local native ingredients. • Guest room views are best enjoyed from the bed, but for added luxury, these stunning vistas can also be relished from the marble tub. • All the art you see around the Sydney hotel was specially commissioned from renowned Australian artists. The talents found inspiration from the harbor and used materials obtained in the area. Keep an eye out for Robert Bridgewater’s striking sculptures carved from red spotted gum trees located in The Living Room, and G.W. Bot’s sandstone works found throughout the hotel. • If you love the art you see, take a piece home with you. The paintings and black-and-white photography are all available for purchase. • Every last Friday of the month, the luxury hotel hosts signature guest experiences to bring some extra Australian culture to your stay. Moments can consist of anything from a visit with Australian native animals like cuddly koalas and smiling quokkas to a smoking ceremony and tour of The Rocks area with an aboriginal elder. • All guest rooms are named after the views they provide, including City Harbour, Opera, Cove, Quay, Harbour and Rooftop. The ultra deluxe Sydney features a near-360-degree view of the city. • Instead of working desks, dining tables sit near all necessary hookups in the rooms to create a sense of home. 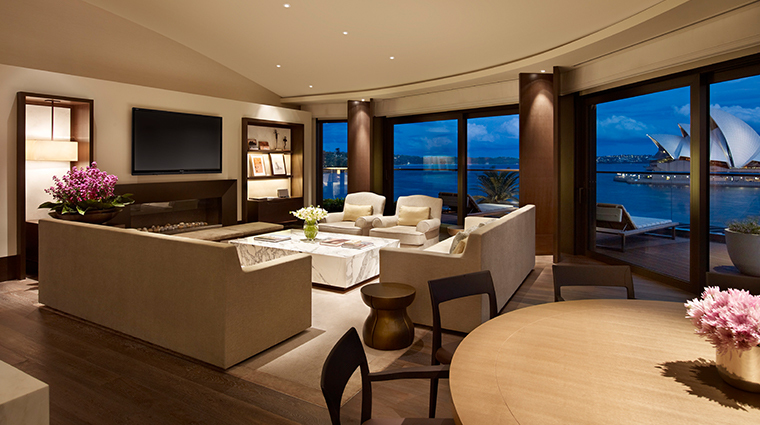 • Every room comes with its own collection of artwork by prominent Australian artists. • Instead of interconnected rooms, the hotel features small corridors that can be closed off to create a two-bedroom configuration. • The Dining Room provides unmatched waterfront dining with a fresh, sophisticated menu and direct views of the Sydney Opera House. • Executive chef Etienne Karner serves up elegant modern European cuisine with Australian influences. A must-try: Darling River kangaroo tartar with ponzu, lime aioli, quail egg mi cuit and shiso. • Savor an array of seasonal, sustainable and utterly splendid dishes at lunch or dinner with the four- and six-course degustation menus with specially matched wines. • Every seat features a view, with sprawling windows that open for alfresco dining and mirrors on the wall to reflect the harbor around the restaurant.